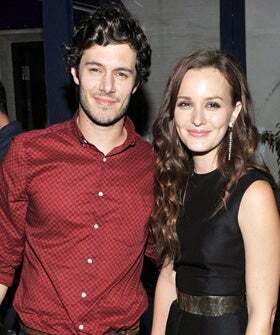 Although their respective TV characters couldn’t be more different (she: an UES snob, he: a comics-loving nerd), Leighton Meester and Adam Brody are apparently two peas in a pop-culture pod. Yep, that’s right, folks. The two actors reportedly hit it off while on set of their latest flick, The Oranges, and they’re now an item…with their ideal date including a museum jaunt to LACMA. It all adds up to perhaps the coolest, semi-nostalgic pairing since Opening Ceremony revived those DKNY archives. And, if they ever make it official, we think we can bet on a hipster wedding of epic proportions. Click HERE to read more from Refinery29.